This celebration of traditional music and culture began in 2006 and takes place in pubs and theatres and on the street in the Temple Bar area of Dublin. During the five days of the festival hundreds of musicians will play in these sessions and admission to almost all of them is free. It really is a feast of entertainment for anyone with even a passing interest in traditional music. As well as the music sessions there are family events, free street entertainment and a festival club in the Project Arts Centre. As well as the headline events and the organised events there are tends to be impromptu sessions in all the pubs around the Temple Bar area and no shortage of craic! 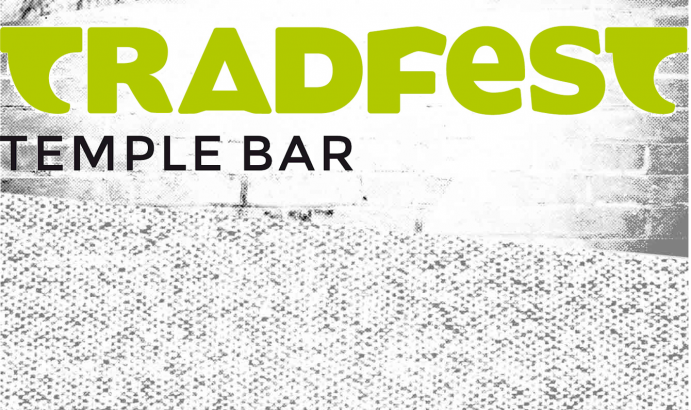 Although TradFest today is primarly a festival of traditional music – now Ireland’s largest – it has expanded in recent years to feature artists from the worlds of folk, nu-folk, and even rock and roll, so there is something for just about everyone to enjoy. Tickets book out fast so early book is advised, especially for headline acts. Tickets can be purchased on the website.